Pull up a chair. It's time to get your hair back. That's why we have over 200 hair transplant videos. Did you know that hair transplant doctors are keeping an important secret from you? 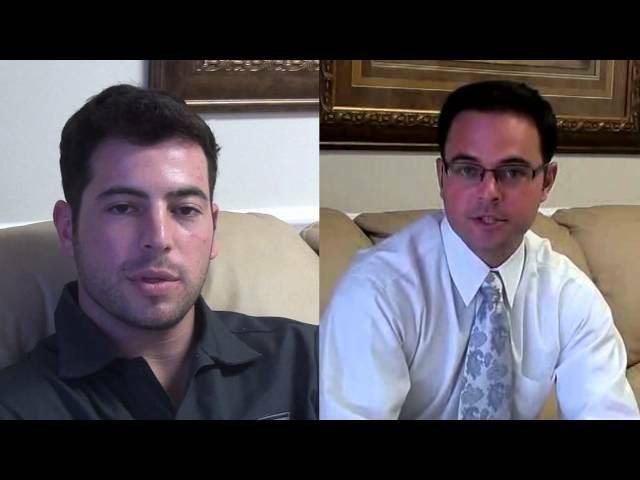 Watch this video to find out how you can get more hair in less surgeries for less money. See this remarkable video that documents a hair transplant starting during the first consultation up to a year after the procedure. Watch how Josh got a botched job at another clinic. Dr. Bolton corrected his bad procedure. After that, Josh's brother Joey decided to get his hair restored too! What's Our Secret? Keep Scrolling. As a small child, Rahim suffered extreme burns and hair loss when a pot of boiling water was accidentally spilled on his head. He endured years of low self esteem and humiliation due to the unusual scarring and balding. Thanks to Dr. Bolton, Rahim now enjoys a full head of healthy hair and a positive self image. Aldo started to lose his hair at a young age. He met with doctors who told him he was too young for a hair transplant. Finally, Aldo was introduced to Dr. Bolton who restored his hairline and his youthful appearance. Ryan wasn't feeling his age. 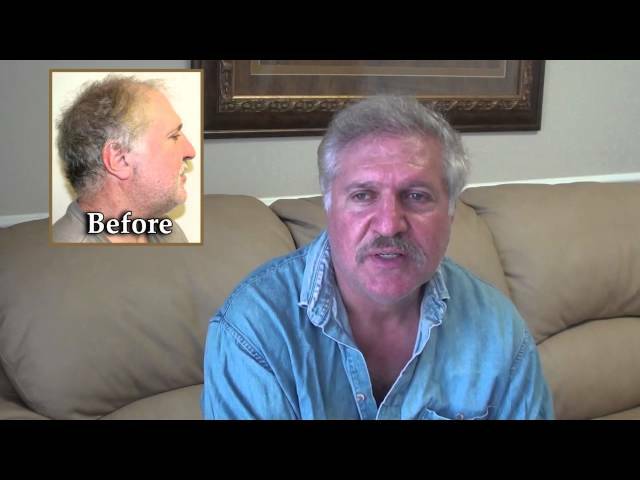 A hair transplant with Dr. Bolton gave him back lost years and transformed his appearance. Just one MaxHarvest procedure was enough to make him look like he never had any hair loss. This patient was disappointed after 7 hair transplants with other doctors. Desperate for hair he got a hair system and spent $40,000 - $50,000 trying to maintain it. Finally, he had enough with the heavy burden of his high maintenance, uncomfortable, expensive hair system. He decided to give hair transplantation one more try after seeing Dr. Bolton's videos and before after pictures. In just One Procedure, Dr. Bolton restored his hair and made him whole again. Now he doesn't have to glue his hair to his head. Now he enjoys the freedom of a natural thick head of hair. For those who like to wear their hair short and think they need FUE to avoid scars, think again. FUE leaves hundreds of polkadot scars and it compromises your donor area for next time. At Great Hair Transplants, you won't need to worry about scars and you'll get twice as much hair! Hair Dresser Can't Find Scars! The Bolton Edge is a special technique that keeps your secret safe. No one will know, not even your hair dresser. There should be no reason to worry about scars at Great Hair Transplants. This video was taken only 4 months after the procedure. The evidence of this hair transplant will continue to fade. This patient had two prior procedures somewhere else, one traditional FUT and one FUE. He was left with sparse results and pothole scars from FUE. Look at the result Corey got in just one procedure. This example of Dr. Bolton's MaxHarvest procedure is amazing. Rahim was turned down by other doctors who said his childhood scar had ruined any chance of a good hair transplant. In just once procedure Dr. Bolton transformed Rahim's life forever. "I have too much hair!" says Scott who is now enjoying the results of just one MaxHarvest procedure. Trusting Great Hair Transplants for his hair transplant transformed Scott's acting career with a natural looking, thick mane of hair. Scroll down to meet the pioneer of MaxHarvest™. "If it looks completely natural, and boosts density by two to three times, why wouldn't I use ALL my options to give patients the best possible result? ~ Dr. Brett Bolton"
Dr. Brett Bolton began his formal education at Michigan State University and then earned his doctorate at Des Moines University. A bit of fate and a family vacation to South Florida as a young boy inspired him to choose Palmetto General Hospital in sunny Hialeah, Florida as the location of his postgraduate training. It was 1997 when he began his hair transplant career in Nashville, Tennessee. Because the art of hair transplantation was still being defined, every doctor seemed to have a different methodology. He scrutinized these techniques in order to define his own approach. His desire was simple. He wanted to help people in a significant way to get the best possible life changing results in fewer surgeries at a lower cost. 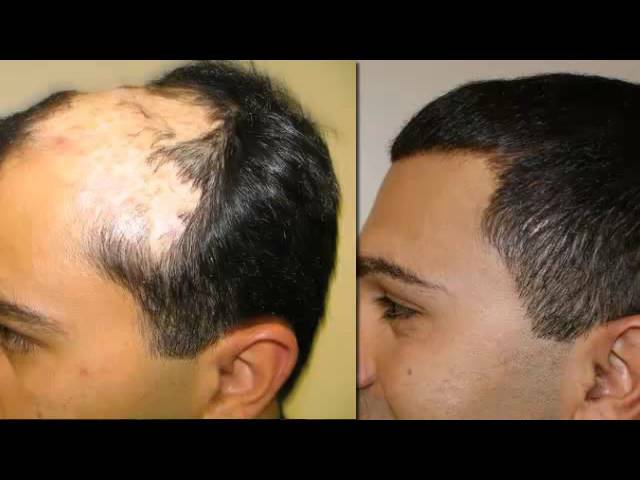 That is when he deviated from main stream hair transplantation and blazed a new trail developing an unparalleled technique called the MaxHarvest hair transplant. Today he runs two state of the art hair transplant facilities; one in the suburbs of Nashville, Tennessee and the other in the warm beachfront community of Fort Lauderdale, Florida. The devotion and loyalty of his skilled staff is unprecedented and both practices continue to flourish due to referrals from devoted satisfied patients. Although he’d be the last to point it out, Dr. Bolton’s continued generosity, humanitarianism and commitment to helping people both medically and practically is noteworthy. He enjoys caring for hair transplant patients here in the United States and around the world. What's Your Next Step? Keep Scrolling. More Hair. Less Money. More Natural Results.